In strategyStrategyCorporate and business strategy guides. Read all CFI articles and resources on business and corporate strategy, important concepts for financial analysts to incorporate in their financial modeling and analysis. First mover advantage, Porter's 5 Forces, SWOT, competitive advantage, bargaining power of suppliers, competitive intensity is defined as the extent to which companies within a specific industry exerts pressure on one another. Some level of competition is healthy because it acts as an impetus for organizationsTypes of OrganizationsThis article on the different types of organizations explore the various categories that organizational structures can fall into. Organizational structures. Competition, whether in an industry or another setting, drives teams and individuals to give their best. In fact, such rivalry is what keeps a majority of firms on their toes, propelling them to do better than their competitors. Competitive intensity is one of the concepts covered in detail in Michael Porter’s Five Forces frameworkCompetitive Forces ModelCompetitive forces model is an important tool used in a strategic analysis to analyze the competitiveness in an industry. This model is more commonly referr. Image: CFI’s Business Strategy Course. Since its inception in 1979, Porter’s Five Forces has been used as the de facto framework for analyzing industries. 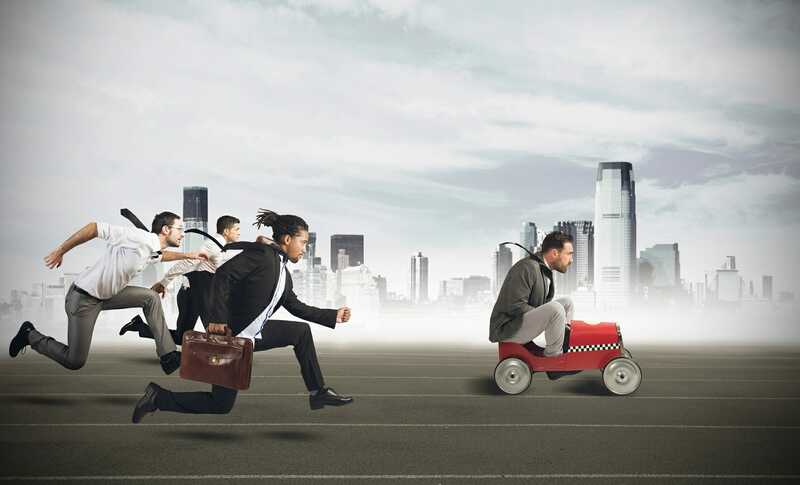 Other than competitive intensity, the other four forces that shape competition in a market are the threat of new firmsThreat of New EntrantsThe Threat of New Entrants refers to the threat that new competitors pose to current players within an industry. It is one of the forces that shape the competitive landscape of an industry and helps determine its attractiveness. Other forces are competitive rivalry, bargaining power of buyers, threat of substitutes, entering the market, suppliers gaining bargaining power, bargaining power of buyersBargaining Power of BuyersThe bargaining power of buyers, one of the forces in Porter’s Five Force Industry Analysis Framework, refers to the pressure that customers/consumers can, and the threat of substitute productsSubstitute ProductsSubstitute products offer consumers variety when making purchase decisions by providing equally good alternatives, thus increasing utility. However, from a company's perspective, substitute products create a rivalry. As a result, businesses may incur high marketing and promotional costs when competing for market. But our focus today is on competitive intensity. According to Porter’s frameworkCompetitive Forces ModelCompetitive forces model is an important tool used in a strategic analysis to analyze the competitiveness in an industry. This model is more commonly referr, competition between firms has two facets, namely, the intensity and dimension. Competitive intensity determines an industry’s profitability potential. So, with intense competition, a company will be able to transfer more value to its clientele. A good illustration is of the competition that exists between T-Mobile, AT&T, and Verizon. All three are mobile phone companies that compete for the same group of consumers. They achieve this by lowering their prices and offering incentives to customers who decide to switch to their company. The dimension of a competition is a completely different aspect. This one deals with the specific features or factors that firms are competing for. Organizations can compete in different areas, including pricing, quality, customer support service, product features, and more. The problem that companies face when they compete in the same dimensions is that they encounter a zero-sum game. Put simply, this is a cyclic situation where one firm’s gain becomes another firm’s loss. To overcome this hurdle, companies will often venture in two or more market segments. For instance, auto manufacturers make luxury automobiles, targeting high-income earners and economy cars, which are meant for middle- and low-income earners. CFI’s Corporate Strategy Course covers these concepts in more detail. What Determines the Level of Competitive Intensity? Porter pointed out that there are specific costs that affect how intense the competition in an industry gets. Costs that could increase rivalry include high fixed costs, high storage expenses, and low switching costs. High fixed costs will encourage firms to lower their prices. However, once the prices decrease, the competition will intensify. If a particular industry has a very high number of firms offering identical goods or services, this will lead to more competitive intensity. However, in a monopoly or oligopoly market structure that is dominated by just one or a few firms, there will be less rivalry. As such, the extent of concentration in an industry plays a huge role in competition intensity. The rate at which the overall industry is growing is another aspect that influences competitive intensity. For instance, if the market is growing rapidly, the rivalry between firms will be less intense. Slow growth rate, however, increases competitive intensity. With slow growth, the industry is very close to saturation, and there aren’t any new customers getting attracted to a firm’s products. But if the market is strong, there’s room for new entrants and new clients. There could even be untapped opportunities that firms can take advantage of. The degree of differentiation also determines how intense the competition will be. With competing goods such as food products and clothing, there’s very little room for differentiating the items offered by a particular company. It means that companies will be competing for the same consumers, and this increases rivalry. However, if a firm is offering highly differentiated products, which other organizations cannot imitate or copy, then this firm will have very little competition. Apart from fixed costs, switching costs also influence the extent of rivalry between companies. If an organization decides to go for a different supplier from the one it has been using, it will incur switching costs. High switching costs lead to a decrease in competition. The switching costs arise from the fact that customers have invested a lot of their resources in learning how to use a particular product. However, if there aren’t any switching costs involved, then industry competition will be pretty intense. Markets that deal with common consumer goods are often the ones that have low switching costs. Learn more in CFI’s Business Strategy Course. In a bid to outdo than their competitors, firms will always try to be innovative. Innovation can help a company differentiate itself and attract new customers. More customers translate into higher revenues and profits. Companies that try to be innovative also benefit customers. If several companies try to differentiate their products, then consumers will have a variety of unique products to choose from. What’s more, consumers are always willing to pay higher if they feel that they are getting value for their money. So, in a world where so many products seem identical, a little bit of creativity can help a firm to go a long way. If a consumer knows that he won’t incur any expense when switching to a different product, he will be more willing to try out a range of products. To prevent this, many firms cut down on their prices so that they don’t end up losing clients. Along with lower pricing, firm owners try to gain a better understanding of unmet consumer needs. This way, they can work towards developing products and services that meet these needs. Competition also fosters economic growth. With rivalry comes innovative technologies, which boost economic growth. A good example would be advancements in the smartphone industry, which has facilitated the growth of world economies. 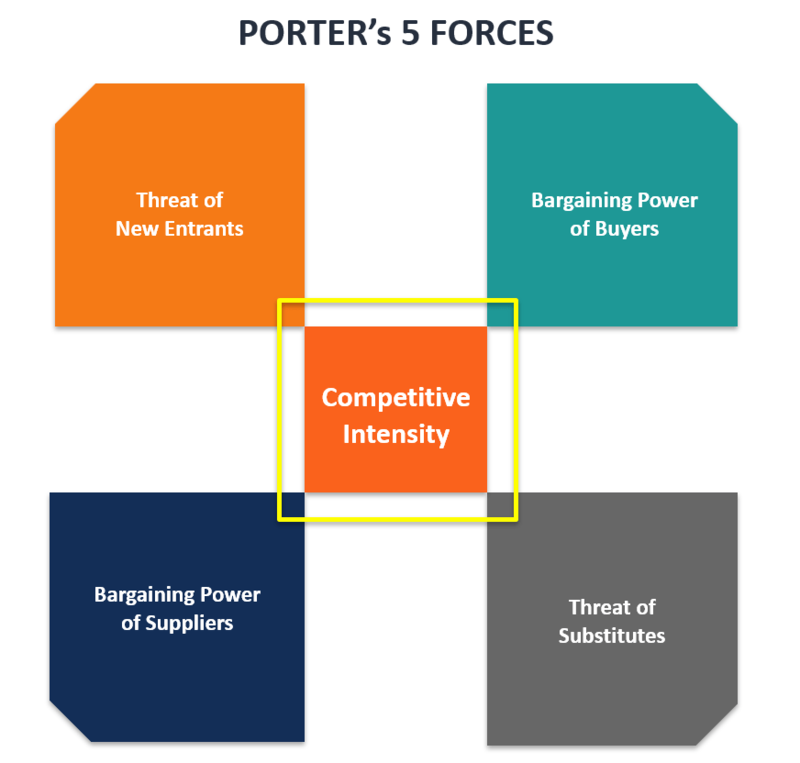 Porter’s competitive intensity determines the level of rivalry existing in a particular industry. This competition can be influenced by several factors, including the concentration of the industry, cost of switching, fixed costs, and the rate of industrial growth. Luckily, there are several actions that firms can undertake to ensure they stay ahead of their competitors. These include differentiating their products, reinventing themselves constantly, and identifying untapped opportunities.